With earlier versions of WooCommerce, the only way to process a refund was through your merchant account. Refunds have now been integrated into the WooCommerce interface so that processing refunds is now extremely straightforward. Another new feature with regard to refunds is that it’s now possible to issue a partial refund, such as if only one item from a larger order needs to be refunded. For many online stores, the benefits of this new WooCommerce feature will be felt immediately and allow for easier store oversight. A full set of language packs were included as a component of earlier WooCommerce downloads. This meant that a lot of complex code that served your website no utility was automatically incorporated into the plugin. Superfluous code can potentially harm your website, especially when it comes to optimizing your site for SEO purposes. To fix this issue, WooCommerce now has a more efficient system in place where only the language packs which reflect your WordPress preferences will be downloaded, thereby cleaning up your site’s code. WooCommerce has always been serious about protecting its users, and the consistent updates mean that you’ll always be fully protected from external threats. 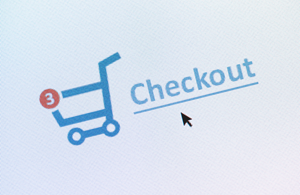 While e-commerce sites are always prone to security issues, you don’t have to worry about using the secure checkout of a WooCommerce site. You still need to maintain vigilance—create strong passwords, stay away from public internet connections, and only use a reliable hosting service. Additionally, get rid of any extra plugins clogging your WordPress dashboard. The WooCommerce plugin itself, however, is extremely secure. Everyone wants their e-commerce store to stand out from the pack, and when using WooCommerce that’s a realistic goal. If you’re attempting to create a unique brand for your online business, then using the WooCommerce plugin will be accommodating of your needs. There’s enough room for flexibility that your store will not only function well and look great—it will also be unique. The new features of WooCommerce 2.2 and its improved API will facilitate even greater customized functionality for your site. While many of its committed users already take this feature for granted, the fact that WooCommerce is a completely free plugin should not be left unsaid. There’s never been a more popular plugin for online businesses, especially none as high-functioning as WooCommerce. The fact that WooCommerce is completely free is a major benefit, and one that helps reduce the costs involved with maintaining an online business.